Eisenhower family: Here’s the latest road construction update. On Mon., Jan. 28, the Access Road and the south entrance of the EHS parking lot will open. 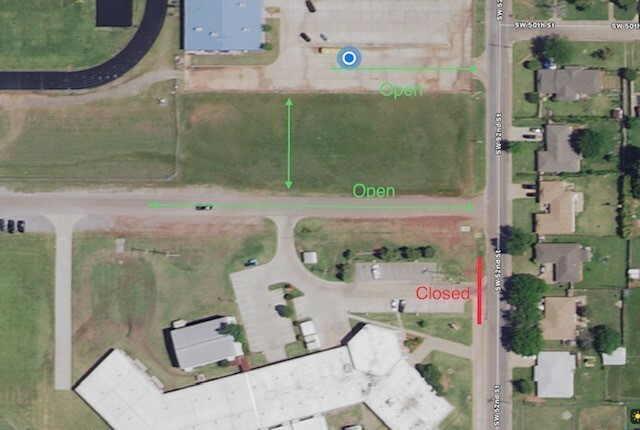 The elementary parking lot will be available for use, but the East EXIT of the elementary parking lot will close around 4 pm until further notice. The 52nd Street project is funded by the City of Lawton.